Erie Otters (1) – Almost two months left in the season, and the Otters have already locked up a playoff spot. 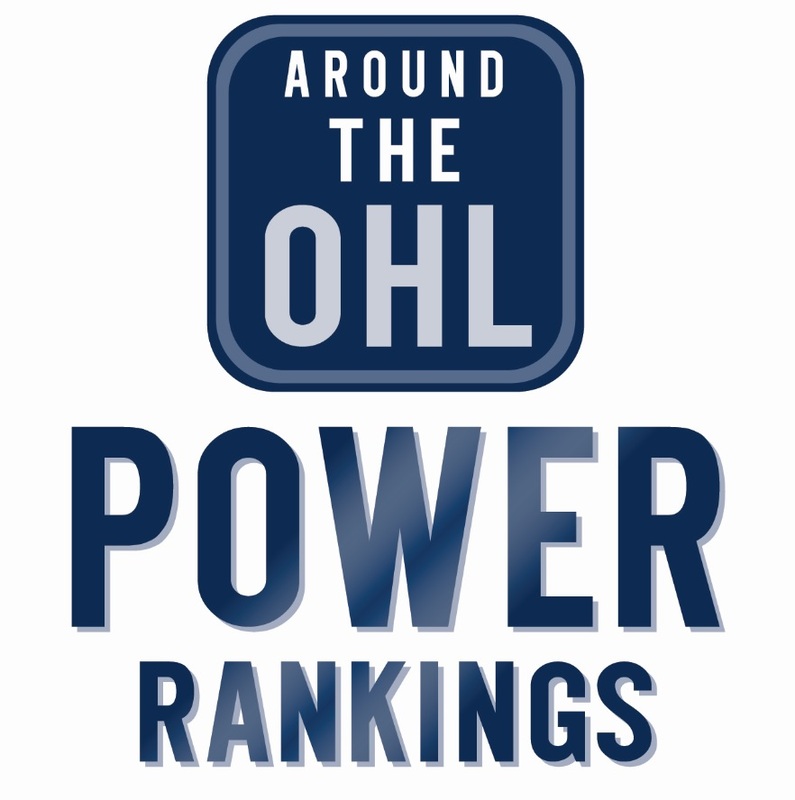 Kitchener Rangers (3) – While losing to the Greyhounds puts a damper on things, the Rangers had a nearly perfect week. London Knights (2) – Lost players to suspensions/Top Prospects, but played like they lost a couple more. Outscored 14-5 this week. Barrie Colts (6) – Only a week ago, the Colts were being touted as a team that could “surprise” in the playoffs. With the way they’re playing now, nobody should be surprised. Sarnia Sting (8) – Maybe the London debacle was a wake-up call, Sting finally playing like the team we always thought they could be. Kingston Frontenacs (4) – Seemed primed to take-off, but a “meh” weekend has Barrie nipping at their heels. Really should have won both games. Windsor Spitfires (5) – Haven’t played badly, and crushed the Knights. Simply have been passed by other teams. North Bay Battalion (9) – Had an easy week, taking on Guelph and Sudbury, but are 5-0-0-2 over their last seven games. Ottawa 67’s (12) – Wasn’t this team supposed to give up after the trade deadline? Playing better hockey now than they have most of the year. Peterborough Petes (10) – Has anybody confirmed that Matt Mancina is from this planet? Is there any other goalie you’d want in your net right now? Owen Sound Attack (15) – Every couple of weeks Owen Sound puts together a couple of games that remind you of how good they can be when the offence is clicking. Mississauga Steelheads (11) – All year we’ve been waiting for their light bulb to go on, and aside from a couple of flickers, we’re still waiting. Will it ever light up? Oshawa Generals (13) – Had a great weekend, beating Hamilton and taking Ottawa to a shootout, but not ready to join the teams above them just yet. Sault Ste. Marie Greyhounds (14) – Pulled off quite the upset against the Rangers, and got to see their trio of Top Prospects against their peers. Solid week. Guelph Storm (16) – The Storm keep rising, beating Saginaw on Sunday. I would never have thought the Storm would ever reach the 15th spot, but here we are. Hamilton Bulldogs (19) – Keep pulling out sneaky upsets, beating the Sting last week and the IceDogs this week. Saginaw Spirit (17) – Burned themselves out in a close loss to Kitchener, had nothing left in the tank when they had to play Guelph the following night. Sudbury Wolves (18) – Rough loss to Niagara offset just a bit by keeping up with North Bay in the very next game. Flint Firebirds (20) – On a roll in all the wrong ways. Haven’t won since December 18th.